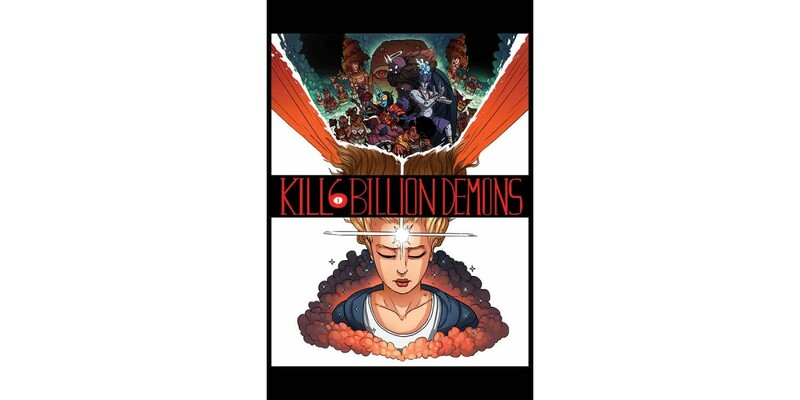 Tom Parkinson-Morgan will release the first chapter of his fan-favorite webcomic KILL SIX BILLION DEMONS in trade paperback this September. Sorority sister Allison Ruth must travel to Throne, the ancient city at the center of the multiverse, in an epic bid to save her boyfriend from the clutches of the seven evil kings who rule creation. KILL SIX BILLION DEMONS TP (ISBN: 9781534300149) hits comic book stores Wednesday, September 7th and bookstores on Tuesday, September 13th, and will be available for $14.99. It can be ordered by retailers with Diamond code: JUL160811, and it can be preordered now on Amazon, Barnes and Noble, and Indigo.